Boyle & District Angling Club, are requesting all Anglers to PLEASE Refrain from Fishing On Lough Key this week due to the Major Angling event next weekend i.e. 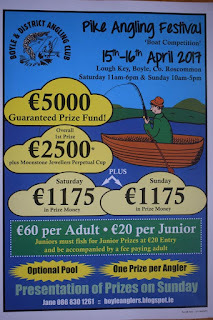 The Easter Weekend Pike Competition (see poster). There will be Patrols carried out on the lake this week. 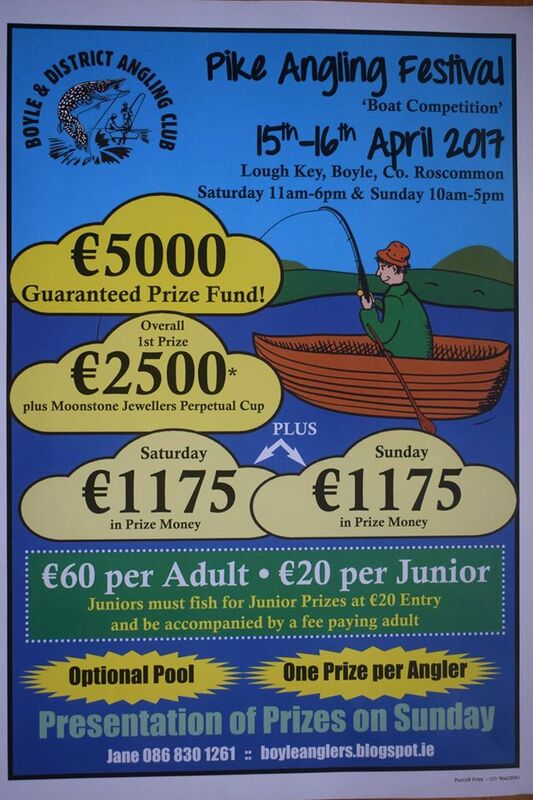 Failure to Comply with the request Will Affect Your Eligibility to Enter The Easter Pike Angling Festival.